Hi everyone! Yay! 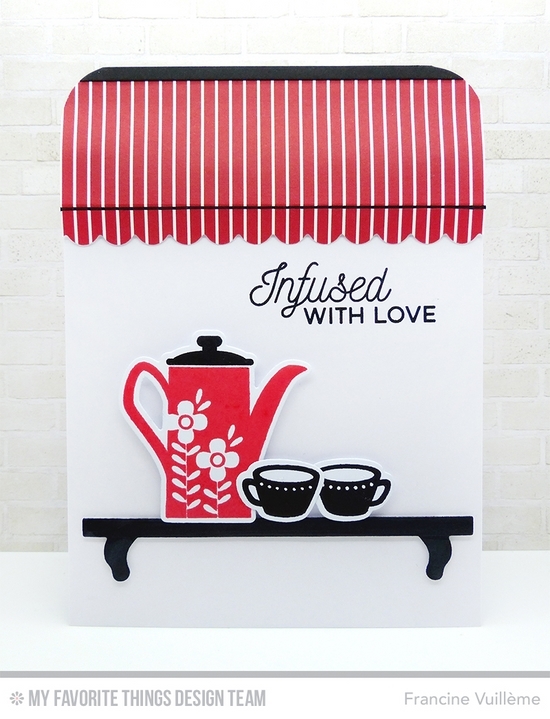 The Kitschy Kitchen November card kit will be available NOW in the MFT boutique. I created a little scene using stamps and dies from the kit. Love he shelf die. I made a shop blind using patterned paper from the Proper Pinstripes as well as Blueprints 4 for the scalloped edge. The sentiment is from the Cup of Tea stamp set. 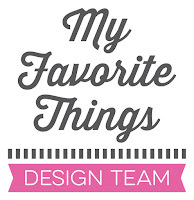 Be sure to check the MFT blog for a full list of kit contents and more inspiration from the rest of the Design Team! Love the cute little awning on this one! Adorable card! Cute design and I like the red and black together. Lovely card, love how the sentiment just pulls everything together! Oh wow! Your card is absolutely cute!!! I love the colors of this card! Absolutely fabulous! Great set...you did a wonderful job making it shine for people to buy. This is one fantastic kit. I'm also smitten with that adorable shelf die - so many possibilities! Love the cafe look! Very pretty indeed!! Hands down my favorite color combo for all seasons. Lovely card. I love the curtain/awning here. Very nice card. Francine! Wonderful card! Love the scalloped awning and the pinstripes! Beautiful! So perfect, love the black accents! ! Love the canopy over the shelf. The red and black is stunning. Love how you did the blind. I am so in love with this kit and the Beautiful Blooms. Gorgeous. classic colours of red and black together. Absolutely stunning card, Francine! I love how you created the shop blind, and your color palette is just beautiful! LOVE this card! This card is adorable! Love the shop blind! Your color scheme is stunning!! Love the striped awning too!! This looks like a scene from a cafe!! Love your colouring the black and red makes great combination. and the idea of a shop awning! This is a perfect card! I love it all!